Valley Vet Supply appreciates their customers, and a two day celebration is planned to recognize those dedicated patrons. “Our Customer Appreciation Days are Friday and Saturday, April 5-6, in our store at 1118 Pony Express Highway in Marysville,” announced Dr. Arnold Nagely and Dr. Ray Schultz. Former practicing veterinarians, Nagely and Schultz, now working-advising, owners-operators, founded the mail-order catalog company in 1985. Valley Vet Supply is a worldwide mail-order catalog company with a retail store at 1118 Pony Express Highway in Marysville. Customer Appreciation Days are planned there Friday and Saturday, April 5-6, with details at www.valleyvet.com. Omar Hinojosa is president of the business serving customers throughout the country with certain products sold around the world. “Valley Vet Supply helps livestock producers be more profitable, enables equine enthusiasts to pursue their passion, and aids pet owners in maximizing the enjoyment of their pets,” Hinojosa verified. “From product selection to ensuring that each box is packed with care, Dr. Nagely and Dr. Schultz and our entire staff are here to personally ensure customer satisfaction,” Hinojosa added. The Valley Vet Supply website, www.valleyvet.com, is “Pharmacy” verified by the National Association of Boards of Pharmacy. “Our pharmacy customers can order with confidence knowing our pharmacists and veterinarians oversee all aspects of their order,” according to Hinojosa. In addition, the company offers farm, ranch and livestock show clothing, books, novelty items and a variety of farm and ranch working equipment. With vast catalog mailings throughout the year, products are featured on the website with details, prices, ordering and tracking services. Congenial call-in reception and email service orders are shipped the day of ordering. Dr. Ray Schultz founded Valley Vet Supply with Dr. Arnold Nagely at Marysville in 1985. 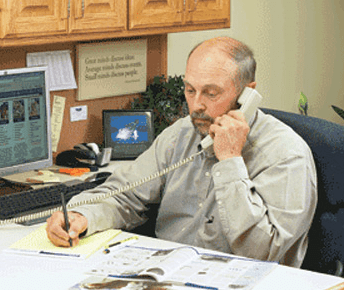 The partnering veterinarians continue working at the mail-order company often on the phone personally advising customers about animal health products. Valley Vet Supply’s retail store, where the appreciation days are planned, is open to the public offering all products in the catalogs. With free lunch daily, 11 a.m., to 1 p.m., informational programs are scheduled during the Customer Appreciation Days, April 5-6. In addition, there will be door prizes and in-store purchase specials. Dr. Mitchell Blanding, Zoetis Animal Health, is to present a spring cattle health discussion at noon on Friday. Ky Stierwalt, Leedey, Oklahoma, who focuses on raising and selling show calves, will present a cattle fitting demonstration Friday at 3:30. 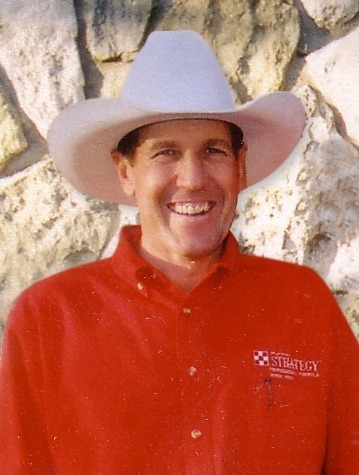 Saturday at noon, Rick Pope from Zoetis is to discuss spring horse health strategies. A saddle fitting and general horse tack demonstration will be from 1 p.m., to 3 o’clock, Saturday, when the appreciation days conclude. Throughout both days, Allflex Tags representatives are to discuss cattle identification solutions as well as tissue sampling units. “Those who purchase 100 Allflex tags will receive a free tagger,” Dr. Schultz pointed out. “Discounts up to 20 percent off are being offered for Western boots, electric clippers, Pro Choice tack, Weaver show supplies and Equibrand gear,” Dr. Schultz added. “There will also be substantial discounts on Powder River Livestock Equipment,” Dr. Nagely noted. “Come join in the food and fun during the Customer Appreciation Days at Valley Vet Supply in Marysville, on Friday and Saturday, April 5-6,” the owners-veterinarians extended a special welcome. Toll free number to call is 800-419-9524.